When your bag is full call us for collection. 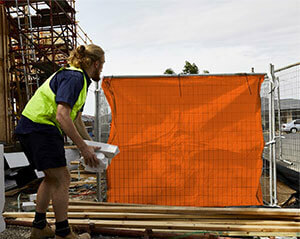 We will do a 10 minute tidy up of the site around the JumboBag keeping your site clean and safe from tripping hazards. The Jumbo truck picks up your full bag and our team installs a new bag in its place. All cages and fencing are securely fastened upon departure. Get started with JumboCorp today! 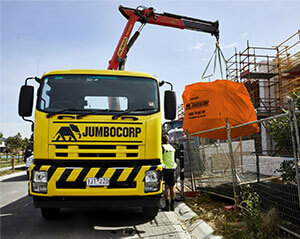 JumboCorp services both Residential and Commercial building industries around Australia. With its flexibility in application, ease of placement, on site segregation options, JumboCorp is the perfect solution for many site waste removal challenges. JumboCorp is currently working with a number of volume builders, supply/fit businesses and large national construction companies as well as smaller local trades. 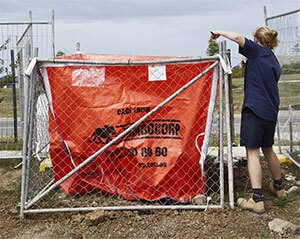 JumboCorp offer trade accounts and volume discounts to our approved trade customers. Jumbocorp is the pioneer of evolutionary thinking in material handling. Fresh on the domestic waste management scene in 2010, Jumbocorp creates innovative material handling and logistics solutions to help businesses, governments and individuals save time, money and the environment. 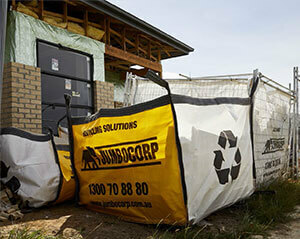 With a unique approach revolutionizing building sites across Australia, Jumbocorp makes the collection, transportation, processing and recycling of waste material simpler, cleaner and more efficient. Working with companies including USG Boral, Henley Homes, AHB, Metricon, and Lend Lease, Jumbocorp’s clever solutions are making a big impression in the building industry.